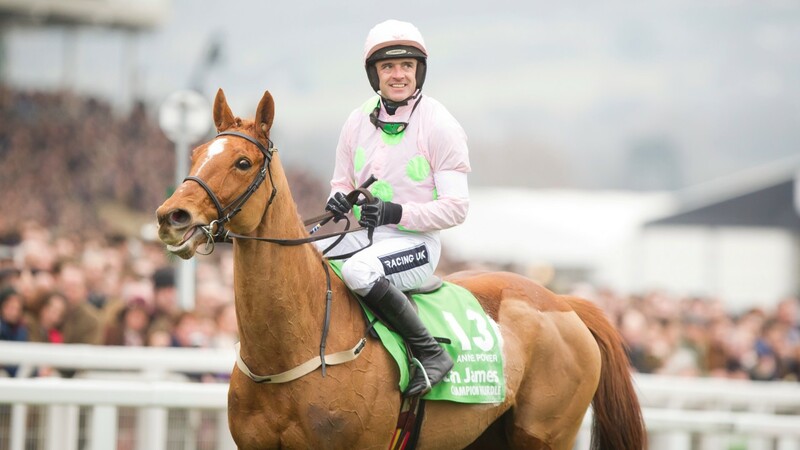 Annie Power - the brilliant hurdler who became the first mare in 22 years to win the Champion Hurdle in 2016 - has been purchased by Coolmore and is in foal to the operation's perennial champion sire Galileo, whose remarkable tally of top-flight winners on the Flat now stands at 71. The daughter of Shirocco was sent to Camelot last year by owner Rich Ricci but failed to see that pregnancy through to term. As part of the deal with Coolmore, Rich Ricci will retain a share in the resulting Galileo foal. Trained by Willie Mullins, Annie Power won 15 of her 17 races, including five Grade 1 hurdle races, and as an indication of her talent and popularity among the racing public was sent off as favourite 16 times. She has a Flat-oriented pedigree, with her Monsun three-parts brother Air Trooper and her dam Anno Luce both stakes winners over a mile and a half. Annie Power's granddam Anna Paola was champion two- and three-year-old filly in Germany in the early 1980s, and from her descends this year's surprise 1,000 Guineas winner Billesdon Brook. A Galileo foal out of Annie Power could be a force to be reckoned with either on the Flat or over jumps, as the sire is not averse to producing brilliant runners over obstacles. Celestial Halo landed the 2008 Triumph Hurdle, Windsor Park was successful in the 2015 Neptune Novices' Hurdle and Supasundae completed a memorable double in the Irish and Punchestown Champion Hurdles this year. Galileo stands at Coolmore Stud in Ireland at a private fee.